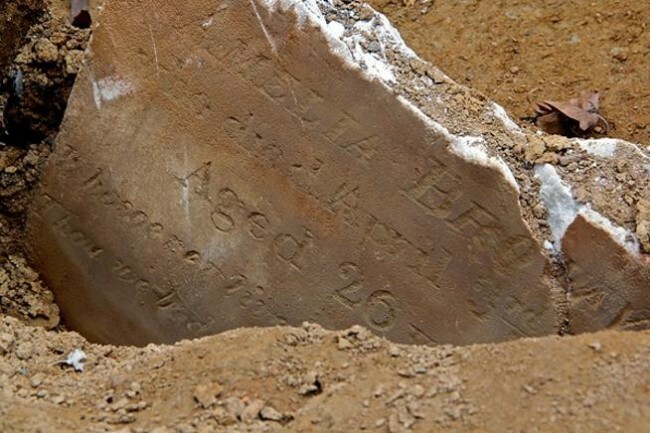 Leven Thompson died this date, March 3rd, in 1824 and was buried at Bethel Burying Ground. His official cause of death was “Phrenitis” which is translated as “brain fever.” This fever could have been from one of a long list of possible illnesses such as bacterial or viral Meningitis, head trauma, alcoholism or lead poisoning. 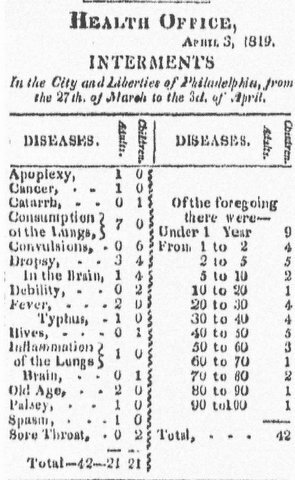 Mr. Thompson died at Pennsylvania Hospital and while he was there he would have received the standard treatment for his illness which was bleeding. This procedure commonly entailed the cutting into the median cubital vein at the elbow. Up to 20 oz. of blood was released at first and from then on more was released at the discretion of the physician who determined the proportionality of blood taken to the “violence of the symptoms. 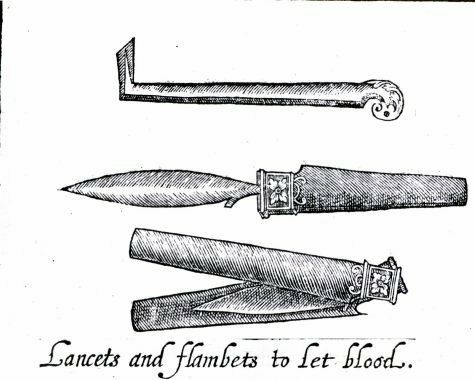 The main instruments for this technique were called lancets and fleams. 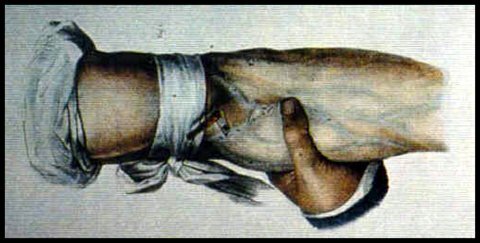 For more information on this procedure and its history go to http://www.bcmj.org/premise/history-bloodletting. The building that housed the Southern dispensary is at 318 Bainbridge Street in the Southwark district of the city. Dr. Belfast Burton died this date, February 27th, in 1849 from a stroke and was buried at Bethel Burying Ground. 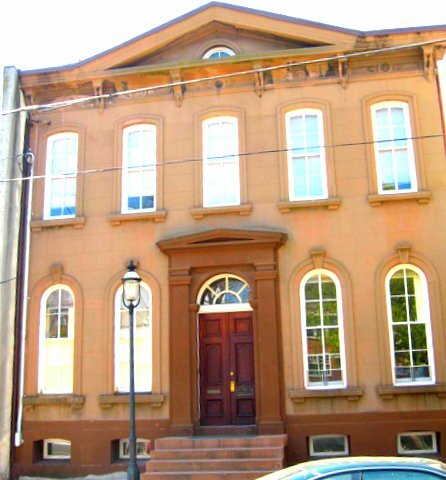 At the time of his death, he was residing at Buckley Street, now Cypress Street, between 5th and 6th Streets and Spruce and Pine Streets in the Cedar Section of the city. Dr. Caldwell was so satisfied with his progress that he believed Burton to be “qualified for the attainment of medical knowledge” and voided his indenture contract on the condition that Burton “commence immediately the study of medicine, and devote to it faithfully and intensely his time and powers.” Caldwell made arrangements for Burton to attend medical lectures at his alma mater, the University of Pennsylvania Medical School. But “for reasons which to me were never satisfactory, such obstacles thrown his way as finally defeated him his laudable intentions,” states Dr. Caldwell. The first African American to graduate from the University of Pennsylvania Medical School would be 81 years later in 1882. 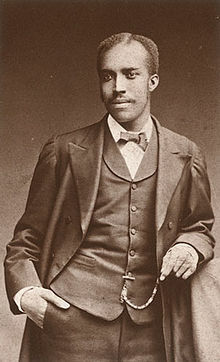 Nathan Francis Mossell (July 27, 1856 – October 27, 1946) was the first African-American graduate of the University of Pennsylvania School of Medicine in 1882. Dr. Burton was “mortified” at the offense and declared that he wanted nothing more to do with the medical profession. However, with the support of Dr. Caldwell and others he refocused his attention to complete his apprenticeship under his mentor. Burton finished his “pupilage” with Caldwell and threw himself into his practice and was characterized by Dr. Caldwell as being “exemplary” in his devotion to his work and his patients, a “credit to his race” and “well-qualified to be useful to mankind . . . “* It was now 1800 or 1801. 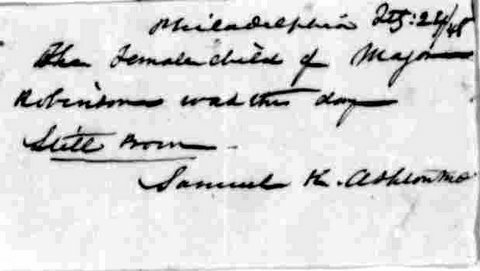 *In the May 5, 1827 edition of The Ariel: A Literary Gazette, published in Philadelphia, there were several letters published that included one from a member of a long established Philadelphia family (Bonsall), a prominent Philadelphia businessman (Abercombie), a clergyman’s wife and Dr. Caldwell himself. The letters documented Burton’s professional skills with a long list of satisfied patients and were written in the hope of acting as “a tribute of justice due to Dr. Burton.” For the full document see – http://babel.hathitrust.org/cgi/pt?id=njp.32101065266478;view=1up;seq=1. The stillborn daughter of Major and Hannah Robinson was born this date, February 24th, in 1848 and was buried in Bethel Burying Ground. The Robinson family lived at 242 Lombard Street where rent was $4.50 a month. Mr. Robinson drove a furniture cart (see below) and Ms. Robinson was a laundress. Both were born enslaved and purchased their freedom from their enslavers. A furniture cart of the type that would have been used by Mr. Robinson. The infant daughter of Olivia and Adam Parker died this, February 22nd, of Tuberculosis and was buried in Bethel Burying Ground. It is unknown where the Parkers resided in 1837, however, several years later they were reported to live at 197 Lombard Street next to the New Market’s Head House Square. Beginning in the mid-1840s they apparently owned a home for many years at 3 Cobb Street directly across from the Bethel Burying Ground in West Southwark. Mr. Parker was employed as a waiter and Ms. Parker took in washing and ironing according to the 1847 African American Census. 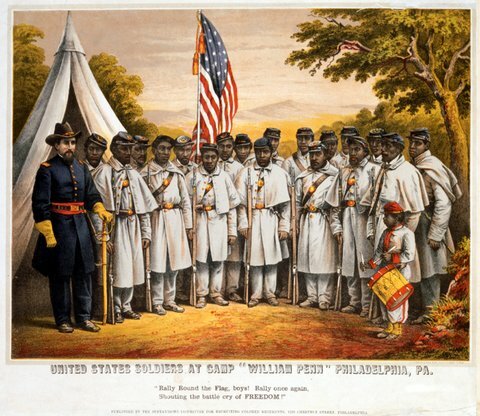 In addition, the Census revealed that he was born in Maryland in 1801 and as of 1847 had real estate in his possession valued at $700 which was quite considerable. In 1837 the Parkers lived very close to the market sheds at “Second Street Markets.” It was also referred to as the “Shambles” which was an old English term for a meat market or a row of butcher shops, according to historian Harry Kyriakodis in his “Philadelphia’s Lost Waterfront.” The shed ran down 2nd Street from Lombard to South Streets and was open Tuesdays and Fridays from dawn to 2PM between April 1st and September and from dawn to 3PM during the winter months. For a complete history go to http://journals.psu.edu/pmhb/article/view/41413/41134.